With more than 500,000 sales since Pax by Ploom launch, the original Pax, Pax 2 and Pax 3 vaporizers have become and continue to be leading choices for those who demand the best of both form and function from a portable vaporizer. The original Ploom Vaporizer, known as the PAX, has revolutionized the world of vape designs. Since the beginning this brand has engineered extraordinary luxurious herbal vaporizers, whose most current models are simply called the Pax 2 and Pax 3. Any of these 2 compact vaporizer kits will change how you enjoy your favorite blends at home and on the go. For more very detailed information regarding these vapes please scroll below in order to get answers to all of your questions and more. As the world of dry herb vaporizers continues to evolve as more people are discovering the benefits of vaping, consumers are demanding devices which are easy to carry and capable of providing a vaping experience that rivals the quality of even larger desktop vaporizers. The Pax 3 and 2 have emerged as two of the very few of the most popular options and are considered by many to be the best vaporizers available today. While there are many companies compete in herbal vaping market, one company has managed to carve itself a lucrative niche as a high fashion alternative to the conventional portable herbal vaporizer - PAX. Why are Pax 2 and 3 models so popular? These devices are popular due to being smaller than its predecessor and more compact than many other portable vaporizers, making them easy to carry fit in any small pocket. The sleek, simple look and fashionable LED lighting appeal to men and women alike, and the vapes are considered by many to be as much of a fashion accessory as it is a vaping devices. With film heating element and stainless steel oven kept completely separate from its vapor path, the all of the Pax vaporizers are able to produce clean-tasting, pure vapor. One button to push, makes operation more straight forward than similar vaporizers made by other brands. The accelerometer featured in Pax 3 and 2 helps to keep the heating chamber at a consistent temperature throughout use for better vaping results. Four heat settings, give you the freedom to select the right temperature for the materials that you're vaping. On a single charge, these can typically be used through five full sessions. Plus, fun extras like a built-in Simon style memory game and a party mode allow its LED lights to flash. PAX brand is a manufacturer of vaporizers that are marketed for dry herbs and now also waxy concentrates. Based in San Francisco, the company was founded by veterans of the tech industry. From the start, PAX engineers had an aim to completely disrupt the herbal vaporizer market, by offering a product that produced very high quality vapor, and had a sleek, modern aesthetic. Today, the brand's signature vaporizers - the PAX 2 and PAX 3 models - are two of very few most popular vaporizers on the market. What has made PAX such a success is the brand's unconventional approach to marketing, setting their sights on wealthy individuals who want to continue using tobacco or other herbs but don't want to smoke them. Believing that these types of customers wouldn't be likely to walk into a regular shop to buy a vape, PAX marketing team chose to seek out distributors that you wouldn't expect to carry vaporizers. So now, in New York, Los Angeles, and other major cities, you'll find PAX vaporizers being sold in high-end boutiques that sell couture clothing, from brands like Rag & Bone and Acne Studios. This approach has clearly worked, as PAX has become the vaporizer of choice for many fashionistas. Selling vaporizers has benefits for boutiques as well. Boutiques that sell these can introduce customers to vaping without exposing their bodies to smoke. With their attractive housings and minimalist designs, PAX vaporizers have definite appeal for those with a passion for contemporary fashion. Even if the connection between haute couture and vape culture isn't immediately apparent, PAX has proven there is one. When you're new to the world of vapes, getting acquainted with the various types available is just the first step. Once you've learned the difference between all of them, you then have to try and sort through the names of all of the products and their manufacturers. This can be difficult, particularly when products and brands end up changing names. When the original portable vape first emerged on the market, it was called the Pax Vaporizer by Ploom, but today if you look at the Pax brand, you won't see mention of Ploom anywhere. Well, to understand, you need to go to back to 2007 when two graduates of Stanford University teamed up to bring their portable vaporizer to market. Those men were James Monsees and Adam Bowen who formed the company Ploom. The pair began selling vapes in 2010 with their ModelOne vaporizer, which was used for dry herbs. The device used capsules filled with tobacco, sort of like the ones used for coffee brewing systems. Ploom later introduced a second version of the product called the ModelTwo. In 2011, Ploom took on the company, Japan Tobacco International (JTI), as a partner. Then, in 2012, they released the Pax Vaporizer, a handheld unit. The product was called the Pax by Ploom but people referred to it by many names, including the Pax Ploom vape, and the Ploom Pax vaporizer. So if you're reading old product reviews or older product descriptions, you'll see the original vape that started it all called by those kinds of names. The Ploom Pax really took off and became one of the most popular models in the world. Fast forward to 2015. Ploom and JTI decided to part ways, and as part of the separation, JTI bought the name Ploom and the model Two vaporizer. The company previously called Ploom became Pax Labs. Technically, you can still call the Pax the Pax Ploom vaporizers if you wish, but officially, the product is no longer marketed by that name, as Ploom is now a completely separate entity. Second and third versions of the original are called the Pax 2 and Pax 3 respectively. Both models are handheld vaporizers just like the original, but with new features like a larger oven and a new tapered mouthpiece. The heating system has also been enhanced, and the exterior now has an anodized finish. These devices are produced by only one company - Pax Labs. The battery in the new models can power the portable vaporizer for 30% longer, and the lip-sensing technology is also a brand new feature. The newer model are also 25% smaller and 10% lighter than the original, making it easier to carry and more compact. Measuring 3.87 inches by 1.21 inches by .85 inch, the Pax 2 will fit into your pocket with ease. The dry herb vaporizer has a transverse brushed anodized aluminum housing that gives it a chic, contemporary feel that will have you looking stylish with every draw. The vape comes in four designer colors to suit your tastes: Charcoal, Platinum, Topaz, and Flare. Not just built for looks, the Pax 2 features a thin film Kapton heater flex heating element that reaches working temperature in under 1 minute. State-of-the-art lip-sensing technology allows the device to recognize when you take a draw, so that the heat can be increased in order to eliminate the risk of temperature drops. After you've finished drawing, this herbal vaporizer readjusts the heat to keep the interior at the optimal temperature at all times. The Pax 2 contains a premium lithium-ion battery that charges fully in just 2 to 3 hours and allows you to enjoy several sessions before you need to recharge. You can re-power via USB or an AC wall adapter for maximum flexibility. Every feature of the Pax 2 vaporizer, starting from the LED interface that lets you easily monitor heating and set the temperature, to the magnetized oven lid that prevents spills has been designed to make vaping simpler and more enjoyable. The revolutionary design of the herb vaporizer makes this model capable of producing large clouds of vapor with phenomenal taste and potency. This new Pax 2 kit is getting rave reviews all over, and is being discussed in a number of publications beyond those devoted to vape culture. How to Use the Pax 2? Remove the mouthpiece and load the heating chamber with your dry herbs. Replace the mouthpiece and push down on the top. The X-shaped LED indicator at the front will turn purple to let you know it's heating up. Set the temperature by holding down the mouthpiece. There are four heat setting options, each represented by a different color. Push and hold the button or shake the vaporizer when you get to the color that corresponds to the temperature you desire. Wait until the light turns green. Put the mouthpiece to your lips and draw. When compared to other herbal vaporizers, the Pax 2 model truly stands out because of all of the benefits described above. It is simply one of the simplest to use, most advanced devices ever made, making it the perfect choice for anyone who wants an exceptional vaping experience that is still easy to enjoy. You can learn more about the Pax 2 vaporizer by checking our review of it by clicking on the link by scrolling slightly higher. Who says you can't make the best vaporizer even better? After changing the world of vaping with the Pax 2, Pax Labs engineers are back with their latest innovation - the Pax 3. Twice as powerful as its original predecessor, the Pax 3 is able to begin heating material in the blink of an eye. You can start vaping within 15 seconds of turning on the vaporizer. With this advanced creation, you will get the flavor and smoothness of the original but with more potency and larger sized clouds to enjoy. The Pax 2 is strictly a herbal vaporizer, but with the Pax 3 vaporizer, Pax Labs has made it possible to use their ultra sleek device for waxy concentrates as well. Just fill the concentrate chamber with your material and install it. Then, you can vape as you always do while enjoying the subtle flavor notes of your favorite wax materials. Using it couldn't be easier either. The free iOS and Android apps make it possible to turn the unit on and off and set the temperature to the precise level that you desire with just a few taps. Lip Sensing Technology adjusts the heating level with each of your draws to keep the heating chamber temperature steady. With the Pax 3 vaporizer, you get the same quality build you've come to expect from Pax Labs. The unit itself comes in four different colors and is covered by a 10-year manufacturer's warranty. Dubbed the iPhone of vaporizers, its arrival has been heavily anticipated, recognized as perhaps the best vaporizer on the market according to many product reviews. Making the third-generation one of the most highly recognizable and sought after vaporizers on the market. The Pax 3 is one of the first dual-use vapes, and the one with the best design, making it a vapor device that allows the use of both concentrates like wax and oils as well as dry herbs. While speaking to their customers, the company learned that many vapers were beginning to use other materials for vaping besides herbs. Because of this, Pax 3 vaporizer kit now includes three separate ovens for use with herbs and concentrates, since one of the biggest downfalls of the other 2 generations is that the material does not taste the same after two or three draws. Handy for those who want to control the bowl size, you can now choose between a full or half-packed oven, as well as a concentrate chamber. As mentioned before, the Pax 3 includes a third insert, the half-packed oven, for those who want just a draw or two without sacrificing the taste of their material for their next session. The vaporizer settings may also be controlled and customized using the adjoining Pax Vapor app. This app uses Bluetooth to connect to any smart phone, allowing you to raise or lower the temperature or dim the LED lights down when using in public. You may also lock the vape and download firmware updates as they are made available. Reinvigorated heating system, lets you experience consistently smooth vapor with only a 15 second warm-up time. There is also a system in place to let you know when the portable vaporizer is ready for use. This improves upon a past complaint of Pax 2 users that said it did not deliver consistent vapor unless it was perfectly packed. One thing that has not changed from the Pax 2, is that it weighs the same amount, though the battery does last an impressive 16% longer. Pax Labs has truly outdone itself this time, offering an incredible vaporizer that surpasses all of the other vapes on the market today. There is a reason that it is called the iPhone of vaporizers, and all of the reviews regarding the new Pax 3 is sure to support that claim. You can learn more about the Pax 3 by checking our review of it by clicking on the link by scrolling slightly higher. Both of the Pax Vaporizer models are engineered to provide plentiful vapor with maximum flavor and potency with each and every draw. To prevent impurities from entering the vapor, the entire vapor path is constructed out of food-safe medical grade plastics. The heating element is a non-ceramic tuned thin film heater that reaches working temperature in 30 seconds or less, and efficiently heats materials to ensure a steady stream of vapor with no waste. Measuring 4-1/8 inches by 1-2/5 inches by 7/8 inches in size, the 2nd and 3rd generations are exceptionally compact compared to other vaporizers. Weighing less than a smartphone, at just 100 grams, making these easily fit into your pocket. Two neodymium magnets are positioned on the oven lid to prevent spillage when you're on the go. On a single charge, the Pax Vaporizers are capable of powering five complete vaping sessions. The reason for incredible battery life is innovative internal accelerometer, which can sense when you're not using your vaporizer, even when it's turned on. This engages a smart cooling system, which temporarily reduces temperature, to conserve battery power. The internal batteries can be completely recharged in just 2 hours for maximum convenience. Using any of the PAX vaporizer models is easy - load the chamber, replace the mouthpiece, and click the button once to begin heating. You can hold down the button to choose your preferred temperature, and when the LED indicator on the light turns green, you're ready to vape. With just a single button, either of the devices are straight forward and simple to use. Even a beginner can easily begin vaping with these exceptional vaporizer models right away. Backed by an industry-leading 10-year manufacturer's warranty to ensure your complete satisfaction. Just like anything that you love, cherish, and have spent money on, you will want to make sure you are taking proper care of your new Pax, no matter which model you may own. Cleaning is simple, and it is recommended that you clean it at least twice a week, or every 5 to 10 uses, in order to ensure that it is running at its maximum capacity. Below you will find a step-by-step guide on how to efficiently, and effectively clean and maintain the quality of your Pax vaporizer. Cleaning the Mouthpiece - Push on the mouthpiece to extend it into the ON position. When it is out, gently tug the mouthpiece to extract it from the Pax vape itself using the groove for your fingernail. Wipe it down with one of the alcohol wipes included in the cleaning kit. It is a good idea to also wipe down both the outside and the inside of the stem of the mouthpiece with a pipe cleaner that has been dampened with isopropyl alcohol, or warm, soapy water. In addition, it is recommended by Pax Labs, the manufacturer, to soak the mouthpiece in alcohol or soapy water at least twice a month; however, don't take it apart. Applying the Mouthpiece Lubricant - Make sure that, once clean, you dry the mouthpiece completely before you take this next step and apply the lubricant. Using the applicator brush, apply a small amount of lubricant inside the stem of the metal tube. Put another small bit on the outside of this tube and make sure it coats all around the tube and under the sliding ring. Applying the mouthpiece lubricant regularly will help make cleaning sessions in the future much easier. When completing this task, take care not to get moisture near or around the vaporizer temperature button. Cleaning the Oven - First and foremost, DO NOT submerge the oven in any liquid whatsoever. Instead, using a bent pipe cleaner, Q-tip, or alcohol wipe from your cleaning kit, clean the oven itself thoroughly. If the Pax has been in use just before cleaning, then be sure that you wait a few minutes for the unit to cool off first, and always be careful when handling a hot device. With the mouthpiece still removed, you will then want to check and be sure the LED indicator is showing the correct temperature setting color. Cleaning the Oven Lid - Much like the oven, DO NOT submerge the Pax Vaporizer oven lid in any liquid at all. Using an alcohol wipe, Q-tip, or bent pipe cleaner moistened with isopropyl alcohol or warm, soapy water, wipe down the oven lid. Remove the oven lid, then put the pipe cleaner into the stainless steel vapor path, starting at the mouthpiece, and keep going until the oven screen comes out. With these steps completed, your herbal vaporizer is ready to go! As stated, take care to do this a couple of times a week for best results. Always enjoy your vape at its best and protect your investment! All in all, the Pax 3 is a marked improvement of the Pax 2, and Pax 2 of original PAX by Ploom, which many people already considered the best vaporizer of its kind. Any of the models are well worth the selling price and come in very stylish colors. These dry herb and wax vaporizers are recommended most for the serious vaping enthusiast who vape herbs predominantly but want the freedom to use waxes on occasion. 4 1/8" x 1 2/5" x 7/8"
The pax 2 is simple, sturdy and easy to use. It appears to be very well made. Good service from vaporplants as well. I love my Paxx 2! It allows me to get the outcome that I want and not any of the negative parts. Highly recommend! Pax stepped up its game - Review by John C.
I think compared to the first Pax, the Pax 3 really has stepped up its game. By this I mean that it has a more consistent temperature and it heats up the materials easily and thoroughly. I would definitely recommend the Pax 2 and 3 (depending on what you use it for) to anyone considering the original outdated Pax instead. The best vape - Review by Celeste A. The Pax 2 is hands down the best vape I have ever used. It is so easy to operate and has a great battery life. It is my favorite dry herb vape that I have used to date. There is no need for any additional tools or anything extra. I love the simplicity of the pax. Really high powered - Review by Adele J. The Pax 3 took a little bit of time to get used to but once I did it was more than worth it. It is so sleek and beautiful and small enough for me to be able to take it with me anywhere i go. 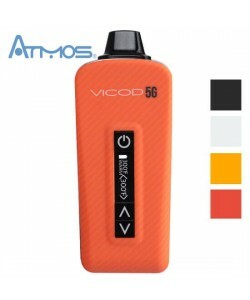 This unit is really high powered for it being so small and delivers exceptional vapor. It worked great once I got the hang of it. I recommend the Pax 2 - Review by Gary K.
The Pax 2 is the first vape I ever purchased and I purchased it based on its excellent reviews. The reviews were great and the Pax 2 is even better. I own a few other ones but I prefer this one because it is small enough to fit in the pocket but works like a huge vaporizer might. It has great battery life and overall a great user experience. It does have a large oven so if you pack it all the way in it is going to burn through your material a lot faster. It does need to be cleaned after each use but outside of that it is golden. I recommend the Pax 2 to anyone, whether you are a new vaper or someone who has had a lot of experience. Flavor is outstanding - Review by Jodi J. The Pax 2 is so easy to use and provides me with great amounts of vapor. I have no complaints at all. The oven is nice and big so I can pack it and then take it with me anywhere I want to go without needing to constantly stop and refill it. The flavor is outstanding and the odor that it produces is low to medium so it does not really turn any heads when I am using it in public. Taste is amazing - Review by Christopher C.
The Pax 2 looks and feels awesome. The battery life is great and overall it is not too difficult to clean. The only con I guess I will say about the Pax 2 is that the hits are irregular; it does not always give great vapor. That said when it does give a good vapor the taste is amazing and the clouds are beautiful. Really smooth hits - Review by Charles M.
The Pax 2 offers really smooth hits and you do not even realize you are hitting it until you exhale and out comes the tasty vapor. Everyone I know has the Pax 2 and they all love theirs to death. I love it to death - Review by Frances G.
I'll admit I did not know much about portable vapes when I got the Pax 2 and I only got it because it looked sleek and elegant. This is my only vape and I love it to death outside of how it looks after using it. I like the different temperature settings a lot so I can stretch out how much material is being used. It doesn't tip over if I set it down and won't spill. The chamber is a little on the smaller side if I am passing it around with friends but it is perfectly sized for solo use. The battery life is good. What I don't like is that the tapered mouthpiece gets way too hot and it feels like it is burning my lips. The screen can also be hard to replace after I clean it. Convenient vaporizer - Review by Kathy B.
I can't imagine what I did before I owned the Pax 2 and I don't think I will ever be without one again. It is so convenient to use and simple to clean. I don't have to constantly charge it and the chamber is big enough that I can have several sessions throughout the day without constantly having to recharge it over and over. It hits really smoothly and is not harsh. Super sleek - Review by James S.
I love that I can taste the flower really well. The Pax 2 is super sleek and slender and I love it. Really discreet - Review by So M.
I'd recommend the Pax 2 to anyone who needs a portable vape that is easy to transport. It does not give off a lot of smell and it is really discreet. Nice heat up time - Review by Ramiro G.
The heat up time of the Pax 2 is nice and low so it is always ready for me to hit it when I want to hit it. Because of its size, I am able to bring it with me anywhere. I don't really like the mouthpiece because it gets so hot but outside of that it is great. Long battery life - Review by Ricky D.
The Pax 2 hits really smoothly and does not burn my throat at all. I love the flavor and the long battery life. Beautiful vape - Review by David M.
It is so high tech and beautiful. I never want to use another vape for as long as I live. I will definitely not go back to smoking either. Mouthpiece gets hot - Review by Nicholas N.
The different temperatures are great. The mouthpiece getting hot is not so great. Really discreet - Review by Dorothy P.
It does not take long to charge and the charge lasts forever. I love that it is really discreet and beautiful at the same time. Showing off my Pax 2 is one of my favorite things to do when I hang out with people. Heats up fast - Review by Doris M.
The Pax 2 has a decent sized chamber but it is not so good for those who want to vape with more than one person. It does heats up fast, though, so it is great for taking with me on the go. Elegant vaporizer - Review by James K.
It is very easy to charge, use and clean. I don't like any additional stuff when it comes to vaping and the Pax 2 is an elegant, minimalist design that I can get behind. I actually had the experience of seeing this vaporizer for sale in a boutique in Manhattan. I was really surprised. I use a vape back home in California. I had never seen a Pax vaporizers outside of a vape shop or a dispensary there. I asked my friends and apparently there are some stores in California also that carry them so I guess the trend really is going from coast to coast. It says a lot about how much vape culture is growing. I think it's awesome. I have the Pax 2 vaporizer for dry herbs, and I can stand behind everything that these guys say about it. I have owned a number of other vaporizers, but I always come back to this vape. To me, it really is the best on the market. I love the way it looks, and you can't beat the quality of the vapor it produces. The Firefly 2 is just as stylish, and has good vapor quality, too, but the Pax 2 is a lot easier to draw from for me. I am so glad I bought one when I did. Big fan... - Review by Keith J.
I always thought Pax was the brand on its own, but it makes sense now. I guess I have been a fan of Ploom brand for a long time, I just did not know Ploom made the PAX. I have been with my PAX vaporizer second year now, and it has not let me down. I have been trying to figure out what the deal is with Pax and Ploom for a long time. It's so confusing, because every time I see articles about the Pax it never says Ploom, but then sometimes when I'm reading stuff from bloggers or people on Reddit, they call it the Ploom Pax or Pax by Ploom. This description finally clears it all up. No matter what you want to call it, I have to say that the Pax 2 is the best portable vaporizer that I've ever tried. The performance is great and I love how it looks and feels. It looks like a decent product, and i like the design of it. I especially like the blue color that it comes in, it's a pleasant bright color to contrast your typical blacks and grey. I think I just found my next purchase, I mean of course a gift for my boyfriend, in which I might just use as well. I've got all the answers from this page. The Pax 2 is amazing, I've had one for about 6 months and I love it. I had the original Pax, and it was good, but I decided to upgrade. The lip sensing technology is so cool. I think the battery lasts longer because of it, and it gives you vapor on demand. I thought the original Pax was a nice size, but this one is even smaller and lighter, so you can easily carry it in your pocket. The magnetic USB port is cool, too. It connects really easy to charge A+ highly recommended. Not a bad performer, but not a great one either. The fact that it doesn't produce vapor from the whole load without stirring the herb in the middle of the session is very annoying. And I'm not the first to mention this in these reviews. Difficult to clean completely. And when you don't clean it completely, you get build up which is very,very difficult to clean. They seem to have provided for this problem, though, by making available 3-packs of the oven cooking plates which are tiny pieces of stamped "tin" plates. But 3 is just not enough. The product is too expensive to start with for its performance, and difficult to maintain. To me, the Pax is like the iPad of vaporizers. It's like a desktop vape in terms of its power, but it's small like a pen, just like how a tablet compares to a desktop computer. I will caution people that want to buy one; you have to spend a little time learning how to use it right and keep it clean. Loading it and charging it is easy but there's a technique to that too. I find that you can get about 45 minutes of vaping time, and it can charge all the way in an hour. You can't fit a lot in the oven, but what you get is so strong you don't need a lot. I like that there are multiple temperature settings to play with. I have noticed that certain blends seem to do better on the higher or lower settings. And I like the LED light, so I know when I can get started. I'd give this a perfect 10/10 score now that I know what I'm doing with it. I currently have two vapes that I use all the time. My Vapir NO2 is what I use at home, because it kind of stands out and it's really hard to clean. The Pax Ploom is my go to vape when I'm leaving the house. Since it doesn't have as many parts, it doesn't get as dirty. I can clean it up really fast. It's small and really easy to hide when you're out. What I don't like is that the mouthpiece won't stay down sometimes, and I have to stir the herbs if I want all of my blend to vaporize. I feel like these problems make it a little too pricey, considering what you get, but I'm not sorry I bought it. I was kind of scared away by negative reviews I read about the Pax, but decided to try the vape anyway. Based on what I've experienced, I would guess that people leaving bad reviews didn't get an authentic Pax, because they bought it on Amazon or eBay from somebody that wasn't authorized. They might also be beginners who don't know how to use or care for a vape and haven't read the instructions. I say this because I haven't had a single problem with my Pax 2. Its small but really solid. You can tell it's well made. The fact that the mouthpiece makes the vape turn on and off is nice, and I haven't had any problems with it getting stuck that I've read in some reviews. The mouthpiece stays cool, and so does the actual vaporizer, except for right at the oven where it can get just a little warm. You get good flavor and good aroma. I will say that you get a slight resistance when you breathe in through the mouthpiece. But, you can still get a good draw and nice clouds. Some people might not like its weight and how it feels to hold the Pax, but I don’t mind it. I find the vape charges in 2 hours or less, which is faster than my other vapes. I'm really glad I got this vape and do recommend it. I have a Volcano and some other vaporizers, and recently added a Pax to my collection. You get a good buzz from this vape and the vapor tastes good. Heating levels are steady, and I like that when you set it down, the Pax adjusts to conserve its battery. If you let it sit even longer, it turns off. This feature is good, cause sometimes I forget to turn it off after I take my medicine. Battery life is really good. I can do like six 10 minute sessions on the high heat. My friend accidentally dropped my vape, and the mouthpiece came off. The unit got a good dent in it, but it still continued to work. I couldn't recover the mouthpiece though, and had to buy a new one. That's when I started having trouble with the unit. Once I put the new mouthpiece on the vaporizer, the unit stopped working. I found that if I put my finger on the mouthpiece, and pulled up a little, it would work but that got annoying. I called Pax and they told me to follow a tip that was included in the instructions - soak the mouthpiece in alcohol, and then push the mouthpiece in and out of the unit a bunch of times. This fixed the problem right away. I wish I didn't have to go through all of that, but the vape works so well it's hard to get mad about it. Even if you don't drop the Pax and end up in the mess I was in, you have to keep the mouthpiece really clean to make it work well. One final tip is to take short draws. I find it's the best way to get a lot of vapor. The PAX vaporizer has been a lifesaver for me. After a battle with prostate cancer, I was diagnosed with colon cancer, and wasn’t healthy enough to handle another surgery. My doctor did chemo and radiation, which left me really sick. A friend told me I should try medical marijuana. My doctor gave me a prescription, but I was having breathing issues from smoking it. Then a friend let me try the Pax 2. Almost immediately, my problems were gone. The vaporizer made it possible for me to take my medicine and get relief. You even get a 10 year warranty on it. That's longer than what I found with other products. Heard so many things about the pax by ploom, so did some research and decided to buy one. At first I fell in love with the vaporizer as the design is awesome, feels great in the hand, and portability is one of the best I have experienced. But there is a BUT, over time - frequent cleaning becomes incredibly tiring, especially when you start experiencing issues with the mouthpiece getting stuck. If you are OK with high maintenance electronics, then this device is for you. Purchased Pax 2 as soon as it came out. Was shipped and delivered in a timely matter. It is easy to use but had to watch some videos on how to clean my new vaporizer as it works so much better when it is cleaned regularly. Easy to learn anything about this unit as there are so many videos about it. Definitely like the unit and customer services provided by the guys at VaporPlants. When my PAX is loaded and charged, it functions great for about 20-30 minutes of continuous time. I only use it by myself so it is OK, but if I would need to share it then I would think the battery might not be enough. My lid has fallen off several times resulting in spill of my dry herbs. Because of the lid falling off I lost it and had to buy a replacement. Overall it is OK, but pricey. Definitely in Love with my Pax 2, price is definitely something to think about but after I purchased it, I am happy I did it. Over last few months I have realized that this vaporizer is using a lot less of my herbs, compared to all of the traditional methods I was used to. Exactly as Expected - Review by Fiona V.
Few of my friends have Pax vaporizer and the stand by this portable vape. I mean with 10 year warranty by ploom hard not to trust the brand. A definite recommendation to all of you who can spend $200 on a vaporizer, this one will not disappoint you and will give you the quality dry herb vape you are looking for! Enjoy, I sure do.